Electrical Contractor for all your needs. 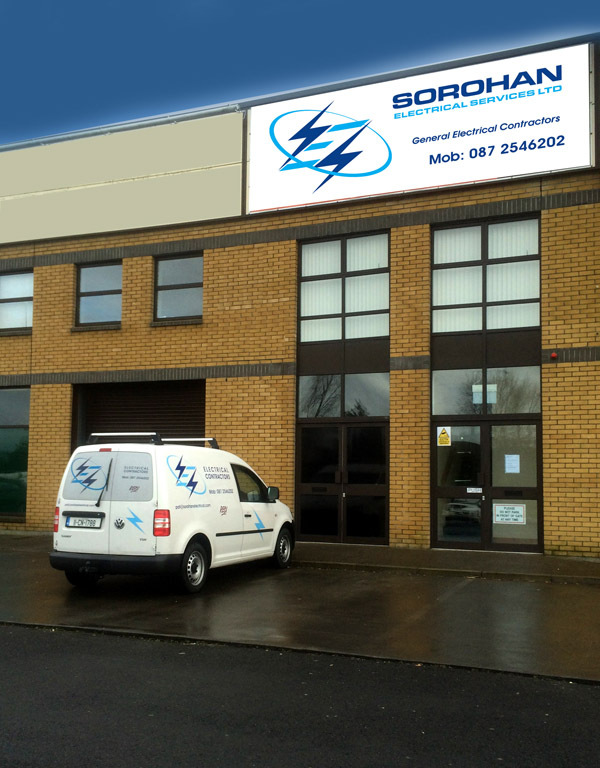 Sorohan Electrical Services was established by Pat Sorohan in June 1992. We undertake all aspects of an electrical installation works including CCTV installation, Intruder Alarm, Fire Alarm, Voice & Data, TV Systems, Testing and all other General Electrical Works. A full design & fit service is also available upon request. On 21st October 2008, the Commission for Energy Regulation (CER) appointed the Electrical Contractors Safety & Standards Association (Ireland) Ltd (ECSSAI) and the Register of Electrical Contractors of Ireland Ltd (RECI) as the new electrical safety supervisory bodies (SSBs). These SSBs are now responsible for regulating the activities of Registered Electrical Contractors (RECs). Industrial, Domestic & Commercial Electrical Installations.